A look at how ‘Third Front’ PMs are selected tells you why Mayawati stands no chance. Meanwhile, the clamour for Mayawati as PM only helps the BJP. It is not the first time that a Lok Sabha election is making people speculate about Mayawati as a potential ‘Third Front’ prime minister. Her own aspiration for the post is her worst kept secret. Her party, the BSP, which won a sum total of zero seats in 2014 aspires for the PM’s post in 2019. That is a tribute to Indian democracy, but that’s about all. Everybody wants to be prime minister. The list of open aspirants this election season includes Mamata Banerjee, Sharad Pawar, K.C.R. Rao, Nitin Gadkari, Nitish Kumar and Mayawati. If you hear the whispers in the corridors, other aspirants include Chandrababu Naidu, P. Chidambaram and Raghuram Rajan. While we are building castles in the air, don’t rule out another term for H.D. Deve Gowda or Manmohan Singh! Lalu Yadav once famously joked in Parliament about how everybody wanted to be PM, admitting he was one of them, but he was in no hurry. A Third Front government is a grouping of regional leaders supported by the Congress or the BJP. In such a scenario, all potential constituents of the alliance sit together and evolve a consensus about who should be the prime minister. Considering how many of them want to be PM, it is not an easy task. One way to resolve the issue is to see who has the largest number of seats. But if that were the criterion, why should the BJP or the Congress now have the PM’s chair? Besides, what if two parties have a similar number of seats? If Mamata Banerjee has 30 MPs and demands to be prime minister, the Congress could prop up DMK, which might also have around 30 MPs. But the SP and BSP together might have 50 MPs, and could veto Mamata Banerjee’s name. Similarly, the strong contenders all cancel each other out. But there’s a bigger reason why Mayawati stands no chance. To be acceptable to a group of 10-20 parties, a Third Front PM has to be the opposite of shrewd. Every constituent of the alliance government would like to be able to push around such a PM, rather than feel diminished and used. In the same vein, nobody would want a PM who could use the PM’s post to expand his or her own party. That’s why Inder Kumar Gujral and H.D. Deve Gowda could become prime ministers. They threatened nobody. They didn’t last long in their jobs, but they were not meant to. For these reasons, Mayawati will be the last choice on the Third Front negotiating table. She is a queen bee, having cultivated her image as “iron lady” over the years. How will any alliance partner be able to order around such a PM? If either the Congress or the BJP supports a Mayawati-led government, how will they pull the rug? Mayawati will tell the entire world in her last speech how these casteist parties couldn’t bear to see a Dalit woman’s daughter as PM. Besides, Mayawati’s Bahujan Samaj Party has been contesting elections across the country. Her party’s prospects outside Uttar Pradesh looked up in 2009, because in 2007 it won a clear majority in UP for the first time in 17 years. 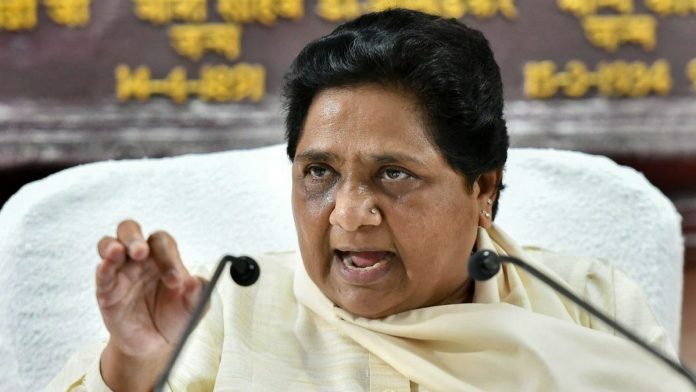 Should Mayawati become India’s first Dalit prime minister, she would naturally use the opportunity to expand her party throughout India, wooing every Dalit voter, making sure other parties are forced to ally with the BSP or suffer hung assemblies. Which constituency of a Third Front coalition, leave alone the Congress or the BJP, would like to give up their claim over the Dalit vote. Why would they want to make the BSP a factor in states outside Uttar Pradesh? After Mayawati became UP CM all by herself in 2007, she went on a national campaign to make herself a PM contender. Given how astounding her 2007 victory was, many thought she actually had a chance at becoming PM. Unfortunately, Mayawati is widely detested by many upper caste and OBC Hindus for being Dalit and being unapologetic about Dalit assertion. In the 2009 Lok Sabha elections, the upper castes in UP feared the thought of Mayawati becoming PM. Travelling in UP in that election, I heard people say in derogatory language that she can’t be allowed to be PM. The BJP was weak, the Samajwadi Party still discredited. That left people with the Congress. Brahmins in UP suddenly rediscovered how the Gandhi family was Brahmin, forgetting how they had seen Lord Ganesh in the BSP’s elephant symbol in the 2007 assembly elections. The fear of Mayawati becoming PM was part of the reason why the Congress won a surprise 21 seats in UP in 2009. The talk of Mayawati as a potential PM in 2019 can only help the BJP, not just in UP but across India, preventing some voters from deserting the BJP for the fear of Mayawati becoming PM. Making Mayawati India’s first Dalit PM is a radical and noble thought harboured by many Left-liberals. For instance, the respected editor Swaminathan S. Anklesaria Aiyar recently wrote that Mayawati has a better chance of becoming prime minister than Rahul Gandhi. He will be proved wrong just like in 2009, when he felt Mayawati had the best chance of becoming PM. In indian politics the candidate is normally elected by those who don’t go for voting. So called educated people don’t go for voting and thus help candidate elected on others voting. So let’s wait and watch the battle. The party/ candidate successful in driving out people for voting shall be king. Wait and watch. No point in discussing. as soon as mayawati kick congress out of UP Gatbhandhan , congress oriented writer start to fear among Bahujan so wasting vote on Mayawati they vote to congress. The above argument about Mayavati doesn’t hold good. When a desperado finds himself in a terrible pathetic condition, he may take any step to be saved by anyone. Have a look at the Congress party. What did it do in Karnataka? A 38 seater JD(S) Party Boss was offered the CM’s post! Such a desperate party may agree to anything, yes anything in 2019 to ensure that Modi doesn’t continue to be the PM. Till now this party was always after power but now it is struggling its best to ensure safety of its leading persona after the next elections. If it comes to that Congress may agree to Shrimati Rabri Devi to be the next PM or…. or even Mayavati’s maid. I believe that we Indians really don’t want someone to be our prime minister who couldn’t speak two sentences without looking down in the papers. We don’t deserve her. I believe that we Indians really don’t want someone to be our prime minister who couldn’t speak two sentence without looking down. We don’t deserve her. Mayawati is a regional leader.She is incapable to lead our country. I agree with the columnist. Behenji has a snowflake’s chance of becoming PM. Not one major regional party will support her. Purely for tactical reasons, to do with being in power in UP, the SP may make a show of supporting her candidate. Tokenism is okay for a purely ornamental post, but not PM. Babu Jagjivan Ram has the calibre to be PM. Mayawati/ mamata/ Modi/ Rahul let any one become PM, the end result will be the same-freebies subsidies reservation loan waivers and the latest rage, universal basic income. This shows BJP paid Media. This is purely Modi and BJP oriented writer. And ground reality is that many OBC and Upped Caste also support Mayawati. In fact it is BJP which creates communally negative atmosphere in society and has pushed nation on the brink of bankruptcy. Every person is suffering in BJP rule. And congress is another version of BJP which is corrupt to the code. In congress rule Key files get stolen from PMO. Shame on them. And during Mayawati rule she created 4 university in UP. People lived in safe and harmonious atmosphere. She is the best choice for PM that India has at present and in future. And she will become PM in 2019 elections. This is interesting. Blokes like me never get tired of accusing Monsieur Shivam Vij of being anti-BJP and here you are charging him of being pro-BJP. All I can say is that Behan ji is unique. God bless India. Who told u that raghuram rajan is joining politics? He has denied these speculations at Davos..